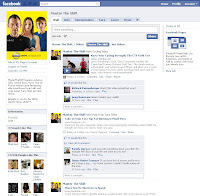 There is a move in digital marketing to replace the micro-site with a Facebook fan page. The latest casualty is the Nissan Master the Shift lifestyle marketing campaign. Those of you who have followed my blog for a while know this campaign since I previously covered it. It has been around for over 2 years. 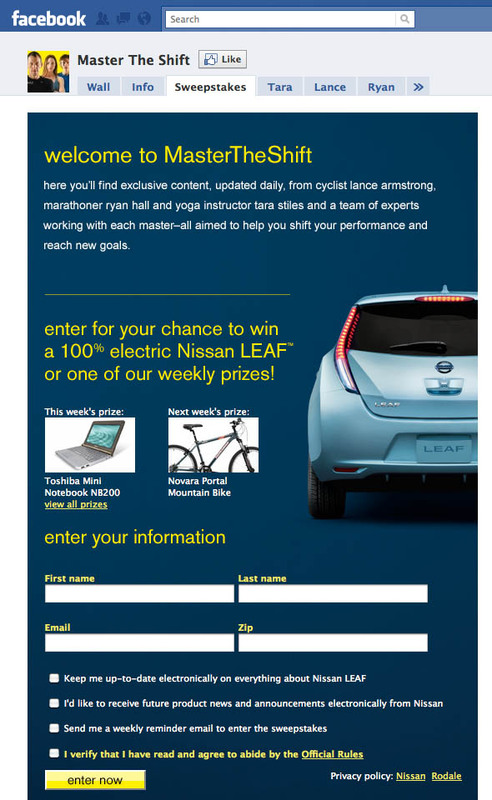 Nissan has done a great job with the email marketing efforts for the campaign where they are constantly giving away free sports related equipment to contest entrants. Regular email communications are sent as new content is added and contest prizes are released. Basically, the program is a lifestyle marketing effort linking the passions of running, cycling, and yoga featuring three key personalities: Lance Armstrong, Ryan Hall, and Tara Stiles. The experience includes several videos showcasing different exercise and training tips while also promoting Nissan vehicles, the Nissan Altima was the lead vehicle for two years but now it’s been replaced by the Nissan LEAF. This year Nissan shifted (pun intended) their micro-site to Facebook where all of the prior website’s content went into various Facebook tabs. This worked pretty well for the athlete content as each person has their own tab and video views seem decent; though, it’s tough to truly gauge as I’m not sure how much advertising was done to drive people to the Facebook page. Also, is some video views were probably done through YouTube and Google search, not all entirely through the Facebook experience. 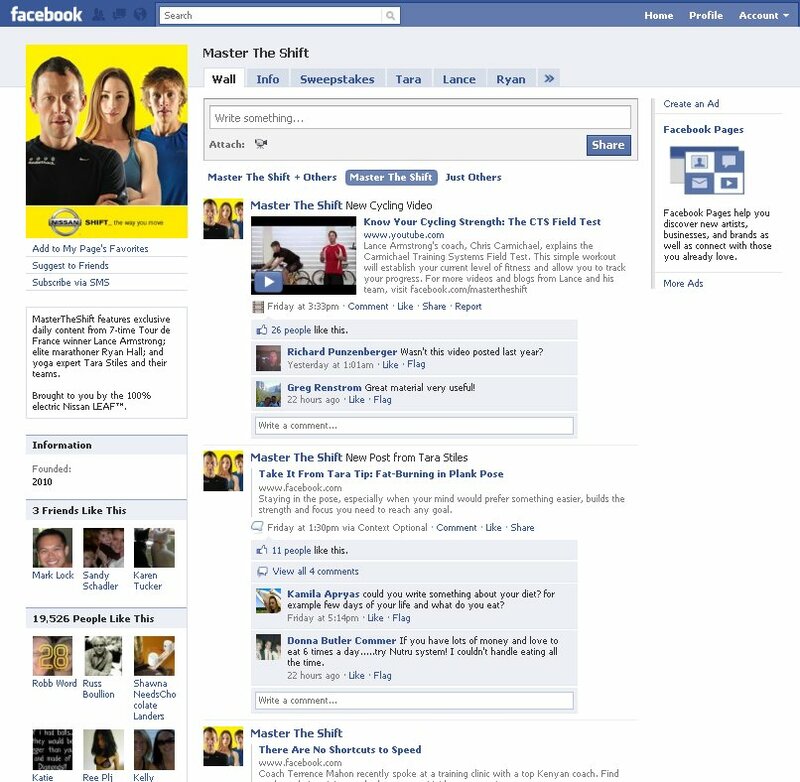 One wonders though if the move to a Facebook fan page is a better, more effective, decision than keeping the micro-site. The most significant issue I can see from the Nissan Master the Shift change is how buried the vehicle content is now. One can only get to the vehicle information using the Favorite Pages section of the Facebook fan page. 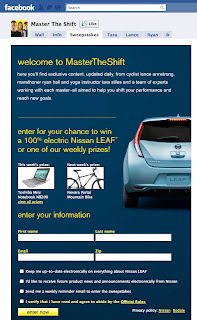 The vehicle content really gets lost in the new experience, but this may be a result of the campaign’s goals having to do more with contest entries (the entry form is the first thing that shows up when one clicks an ad) and driving people to the unique content created for each of the athletes tend to be more primary objectives. 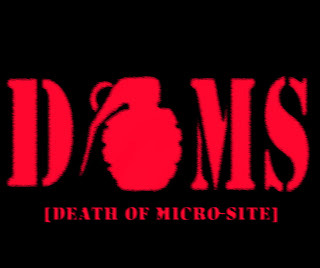 Another concern with moving to Facebook is that the user now has several interruptions that never existed with a micro-site. For instance, if a friend on Facebook initiates a chat, Nissan could lose that person’s attention. Also, any status update or new message information while on Facebook could further distract the visitor. There is of course just the fact that one is on Facebook and may simply and easily return to their Facebook news feed. The usability, call-to-action person in me questions how so many other clicks can interrupt the experience and thus lose the person Nissan is trying to reach. 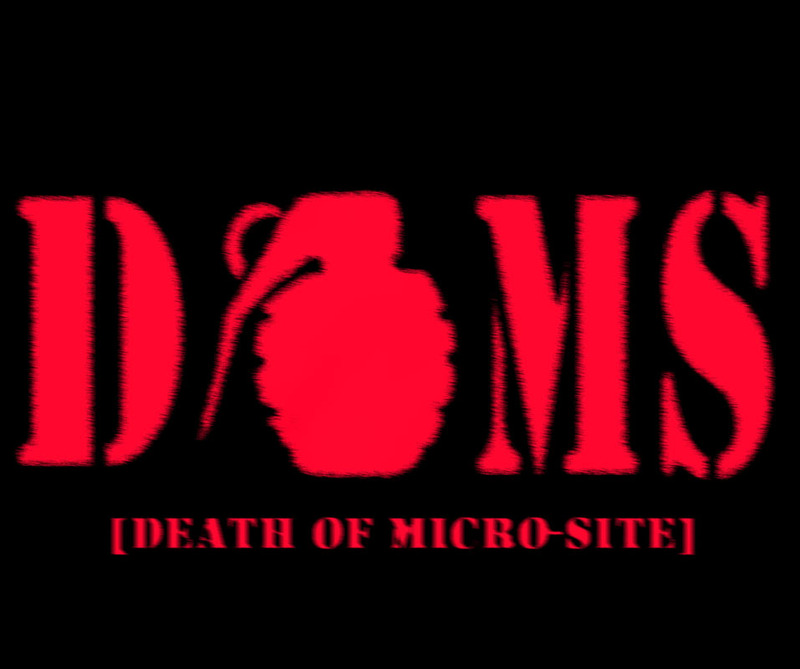 The whole change from micro-site to Facebook fan page is an experiment. I would love to see how well the change is for Nissan, but without any primary data analytics it’s difficult to assess the strategic decision, but it’s an easy realization for the Nissan team as they can see if their content is getting a higher engagement rate by moving to Facebook. Nissan is also launching an 18 stop event marketing campaign, as detailed here (though the story incorrectly says the Master the Shift campaign "began in April.") Getting out to events is a great way to reach this target consumer. 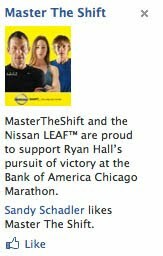 It also provides another way, besides banner ads, to get the word about Nissan's working with these athletes and an additional way to promote their Facebook fan page. Good marketing strategy by Nissan to attract the visitors attention. Now days about all people have Facebook account who can be easily get attention of these ads on Facebook. One of the best benefits of advertising on Facebook is that there are so few ads anywhere on the site. The small amount of ads, say compared to a Yahoo! or MSN site, certainly improves click throughs and with the right visual will probably get noticed more than most banner ads on busier creative sites.